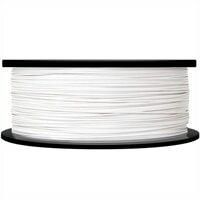 MakerBot ABS Filament is the best, most consistent, and most tested ABS filament. MakerBot ABS Filament is good for detailed prints. Consistently round diameter - ensures highest print quality and consistent flow through the extruder nozzle.